Rob Milliken was born at a very young age in October 1948 at Harwich, Essex. His early years were spent mainly in Rotterdam where his dutch grandfather, an enormous influence in his life, introduced him to paintings and sculpture. During the 1960’s he played drums in a number of bands… The schoolwork suffered. In 1965 armed with a drum kit, a box of oil paints and an ‘O’ Level Art GCE he headed to the Midlands to seek his fame and fortune…but no such luck! In 1969 the real world took over. Marriage, children, mortgage, further education and a proper job. 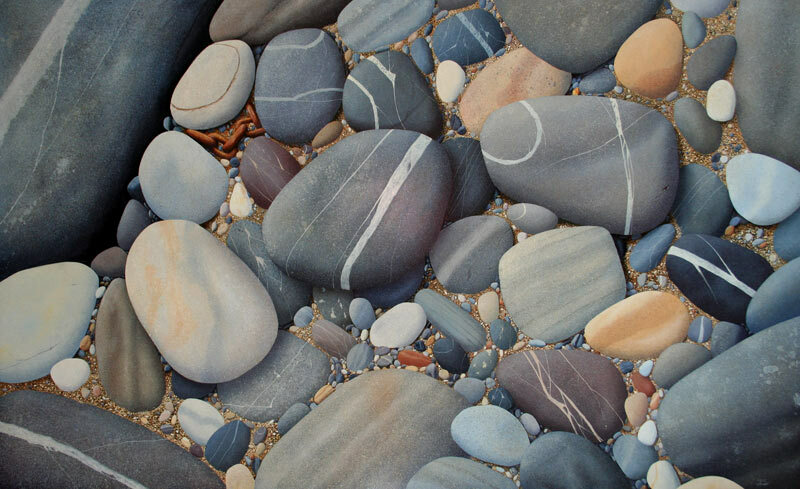 Although he received a basic art education, he has developed his drawing and painting skills over a period of time and has used a variety of mediums.During the late 1980’s he began using egg tempera which is his preferred medium. This medium suits his methodical and detailed method of painting. In 1993 he was able to give up the day job to concentrate purely on painting and poverty. 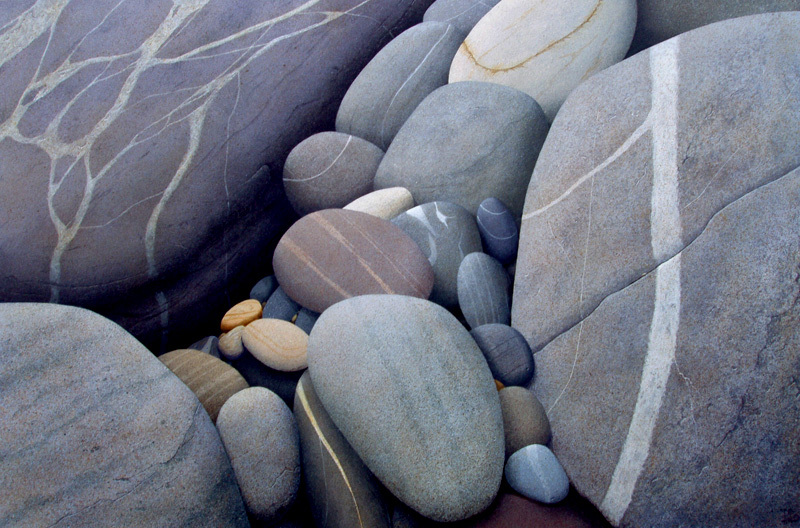 The Society of Tempera Painters, a world wide organisation and based in the USA, elected Rob a member in 1997. He became actively involved and was subsequently appointed to the Executive Committee and became Vice-President in 1999, a post he still holds today. Although he paints a wide range of subject material he is mainly inspired by coastal areas. 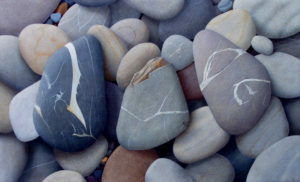 These paintings are of intimate close ups, whether they be of the battered sea defences or of sea shore pebbles and stones. 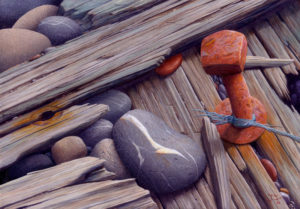 He searches for the anthropomorphic qualities in his subjects and depicts them as such. 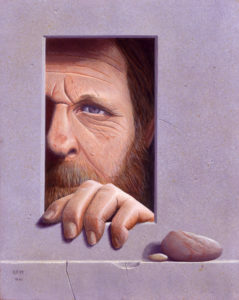 His work has been widely exhibited in the UK, mainland Europe and the USA and has been included in a number of publications including “The Artist” and “International Artist” and two hardback book publications. Next Welcome to The New eggtempera.com!